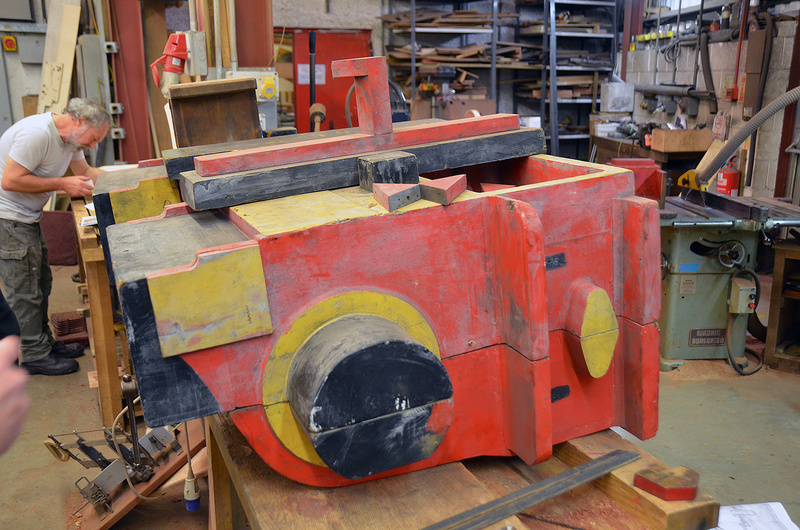 Welsh Pony is currently ‘a kit of parts’ having been fully dismantled over recent months. 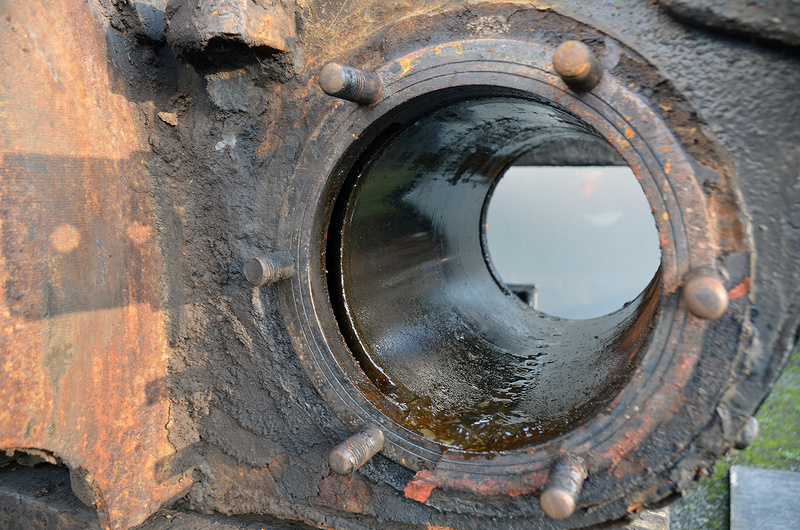 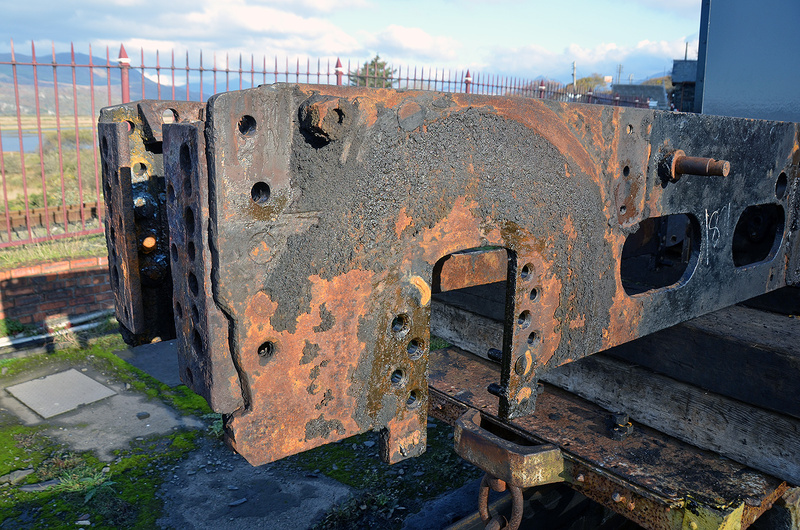 Initial checks on some of the key components have revealed the true extent of the corrosion present. 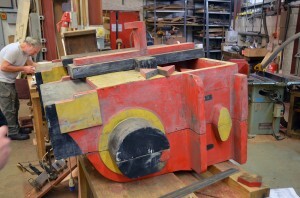 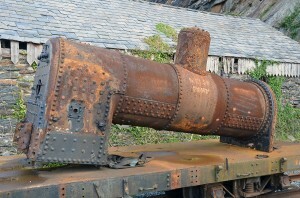 It has been decided to build a new boiler for the loco, due to the deterioration of the original boiler. This will be done at Boston Lodge, and will be a welded as opposed to the riveted construction of the original. The original frames are in poor condition, therefore new steel plates have been ordered from which replacement finished frames will be constructed. 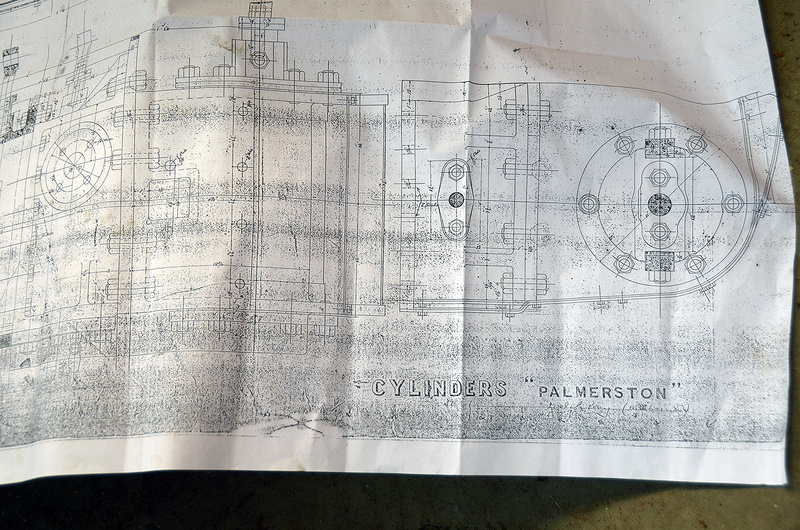 New cylinders are being cast using the original wooden patterns made in accordance with the drawings for Palmerston’s cylinders. 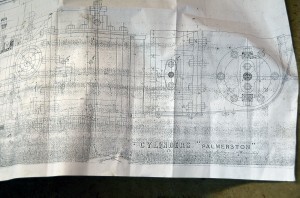 These historic patterns were already in stock at Boston Lodge, and a considerable amount of money has been saved by using them as opposed to having new patterns made. 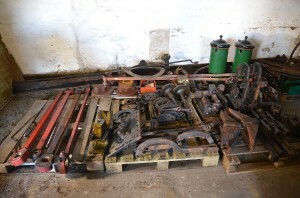 All of the original components that can no longer be used will be kept for eventual display. 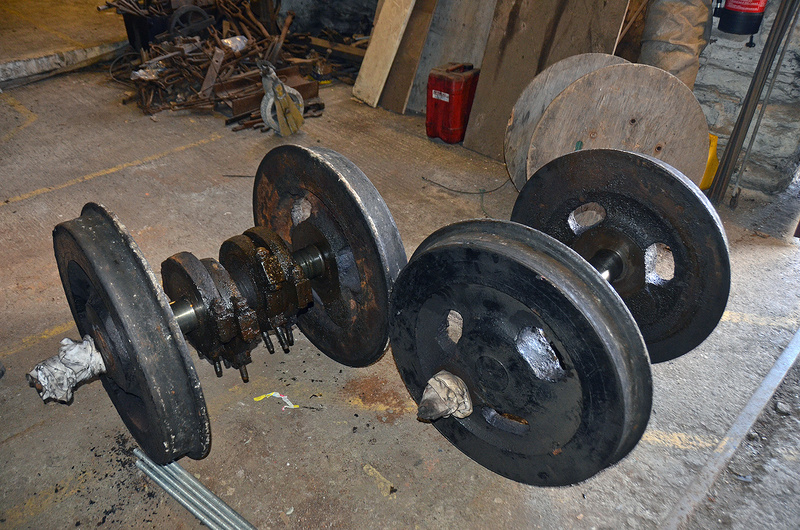 The wheelsets were found to be in good condition on original inspection, with plenty of tyre life left. 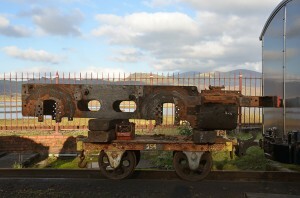 The eccentrics are also thought to be serviceable. Many other components have been catalogued ready for refurbishment and eventual use during the rebuild, including connecting rods, brake gear, motion brackets, outer frames, reverser and many other items. 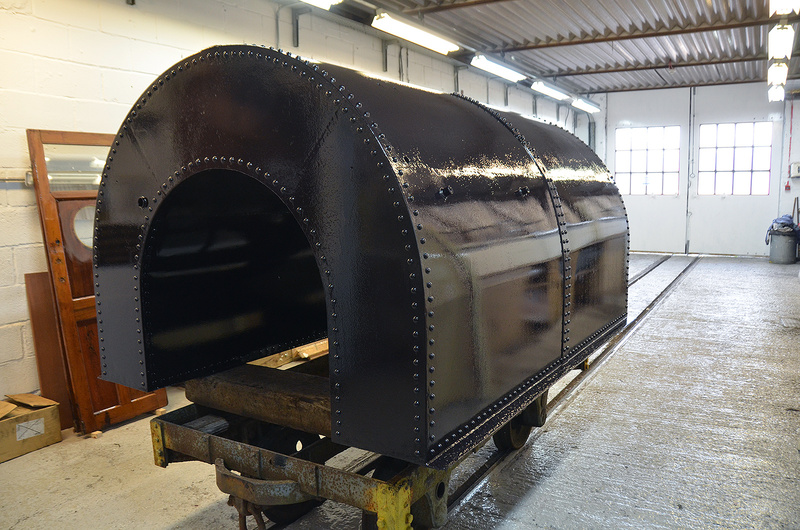 The tank has been completely refurbished and the cab will also be re-used.